Kaffa: a region of Ethiopia where coffee would originate. Also pronounced Caoua, "which gives appetite" and would have the same origin as the Arabic word for "wine". It is around 1500 that the first cafés, public places of meeting and tasting, appear. Coffee is already reputed as a bringing people together, creating friendships and presiding over meetings and special occasions. Our human viewpoint is reflected in that of the Coffee: we wish to create a social link of exchange that is both friendly and smart. Nok Nok CAFE is the opportunity to discover a new art of living, to create privileged contacts next to you or at the four corners of the world and immerse yourself in the local culture of your hosts around shared interests (hobbies, sports, passions, travel, professional activities...). In this daily environment where we are always digitally connected and where individuals are so strongly isolated, Nok Nok CAFE puts technology in the service of social cohesion. The Nok Nok Team are technological epicureans first and foremost, lovers of good food and well stocked and well surrounded tables. They are backpackers, connected on the go with the world and happy to discover new horizons and cultures, accompanied by unique individuals and rich in stories and experiences. 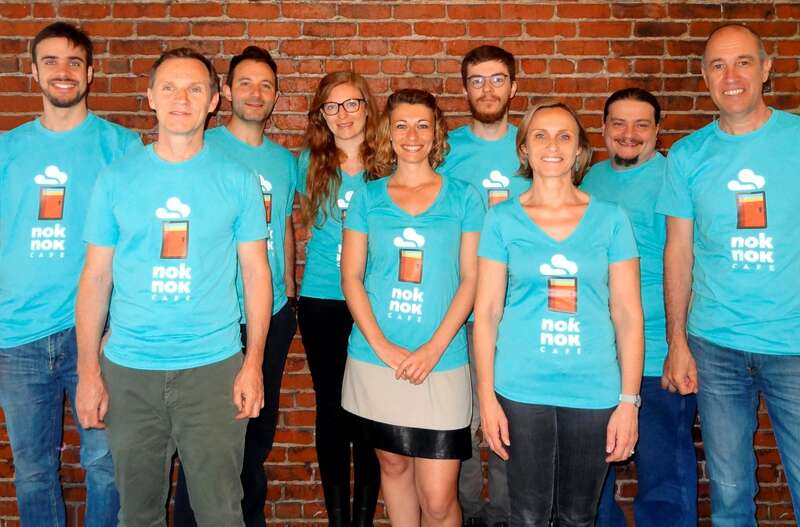 The Nok Nok CAFE community is you, Hosts and Guests. You, who each day, wish to discover the world, learn, exchange, initiate relationships, travel, become better! You, who like us, are sensitive to what makes us human and our common values of sharing. Come meet us on social media!